Apple's patent fight with Samsung may be winding down, but its fight with Ericsson is ramping up. The two companies have filed patent lawsuits against each other after failing to find mutually agreeable licensing terms over Ericsson patents used in the iPhone and iPad. Apple's filing in U.S. Federal court in California claims Ericsson is demanding too much money, and wants the related patents to be ruled as inessential for LTE standards. Ericsson took its case to Texas where it's asking the court to rule on whether or not the royalty fees it wants are fair, according to Bloomberg. We couldn't get any further in the negotiation. [Apple's lawsuit] was a clear sign that we don't see that there will be any solution without the support of a third party. Apple spokesperson Kristin Huguet said the company is willing to pay a fair price for standards essential patents. "Unfortunately, we have not been able to agree with Ericsson on a fair rate for their patents," she said. "So, as a last resort, we are asking the courts for help." 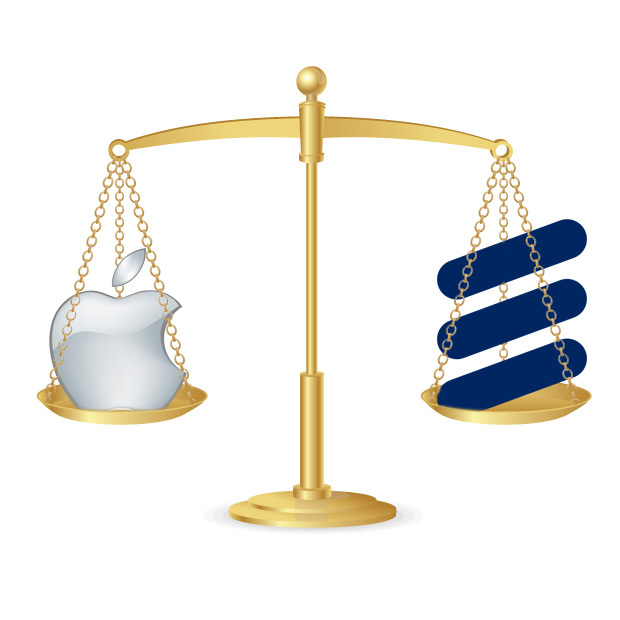 Ericsson insists its terms are fair and reasonable, which is a view Apple clearly does not share. Ericsson seeks to exploit its patents to take the value of these cutting-edge Apple innovations, which resulted from years of hard work by Apple engineers and designers and billions of dollars of Apple research and development -- and which have nothing to do with Ericsson's patents. Renewing the patent licensing deal with Apple could amount so serious money for Ericsson, so the company no doubt wants to strike an agreement. The terms of that agreement, however, may ultimately come from the court instead of the executive conference room.